Wireless networks use radio waves to send information between computers. The four most common wireless network standards are 802.11a, 802.11b, 802.11g and 802.11n. Now you can find the fast new WiFi generation products in the market. 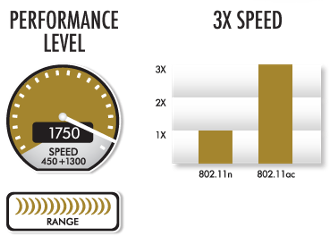 A new standard 802.11ac Generation WiFi with Gigabit speeds; offers speeds of up to 450+1300Mbps (3x faster than 802.11n) with reliable connectivity , is expected to grow in popularity. 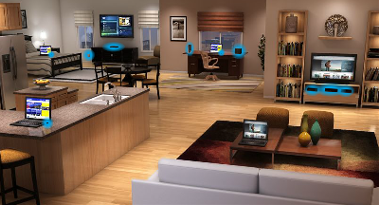 the new generation of WiFi devices 802.11ac and is backward compatible with 802.11 a/b/g and n.